Coffee shops have long been a great place to just hang out at with friends. Most Irvine coffee shops offer free WiFi which makes hanging out even better. Teens can get homework done together, study, or just chill after a long day at school. Add to the ambiance great coffee and pastries galore and you’ve got the makings of a fantastic spot. 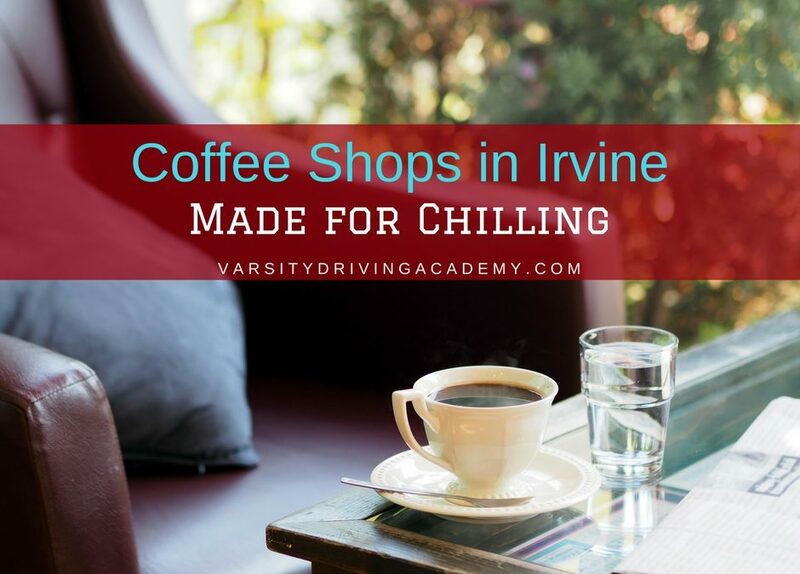 While almost every Irvine coffee shop is a great chill spot, there are a few that stand out above the rest. 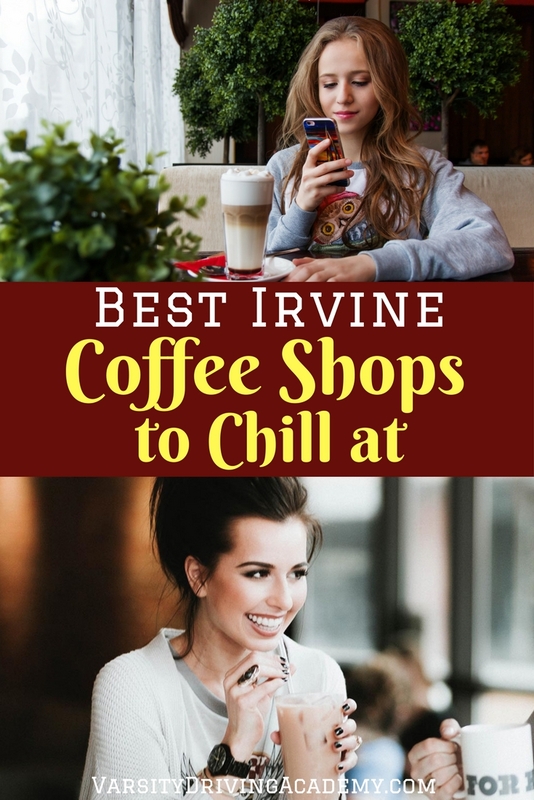 Chill with friends at one of the many Irvine coffee shops after a long day of learning or on the weekends after studying. Coffee shop baristas are usually very friendly but they don’t come friendlier than at BLKdot Coffee. Not to mention, outdoor seating is amazing since the shop is surrounded by trees. Studying at BLKdot Coffee is great as well due to little distraction. There is even free WiFi so students can bring laptops and get to work with friends. Coffee is one of the main reasons people go to a coffee shop. However, if a shop offers more, they need to do it right before it becomes known as more than a coffee shop. KRISP Fresh Living serves amazing coffee alongside it’s amazing Acai Bowls. Free WiFi is available and all of this makes KRISP one of the best Irvine coffee shops to just chill. Especially on a weekend morning. Welcome to the chill vibe at Kona Loa Coffee. This coffee shop was designed to be a laid back, study spot for teens and a remote work spot for adults. The staff is very friendly, the WIFi is free, and the coffee is amazing. If you get here early enough, you can order one of the most interesting breakfast items around. 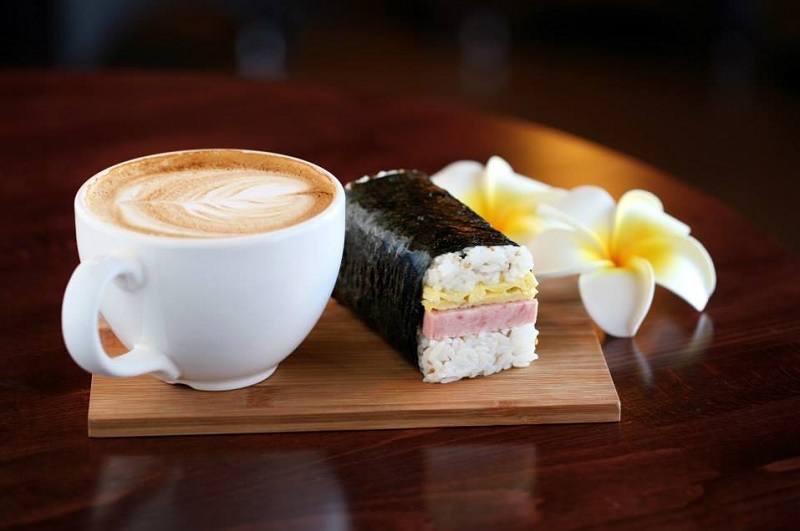 The spam, egg, jalapeno musubi is a breakfast you won’t soon forget. As far as atmosphere goes, Coffee Tomo has started trends in Irvine California. Irvine coffee shops have taken queues from Coffee Tomo. Signature coffee drinks make up the menu at Coffee Tomo and there is a whole menu of foods and snacks to choose from. Free WiFi is available and getting a quiet spot in the corner is very easy. Coffee is served at Sootha Coffee with gourmet sprinkled on top. Not only is this spot a great place to hang out with friends, it even has a conference room. The conference room can be reserved for business meetings or presentations. Outside of the conference room is a full coffee shop with indoor and outdoor seating. The ambiance is quiet and you get a feeling that you’re at a friends house for coffee. There is free WiFi available and you can easily become a regular.